Last week Amazon purchased Eero, a mesh WiFi startup. It’s easy to claim that it was just a purchase for a fast play on the smart home, but under technical scrutiny it becomes obvious that it’s more useful to understand this as a new and ambitious attempt to own the future. The timelines, costs, and brand equity for this kind of hardware company are too far off for the near-term math to work. Instead, projecting a few years ahead makes it possible to map some impressive opportunities that this move unlocks for Bezos’ ever-expanding company. I recently sold my smart smoke alarm company Birdi to WiFi mesh company Luma (which in turn sold to First Alert), and to see this sale gave me some validation and also got me thinking: why did this sale happen and what are the implications? First and foremost, WiFi in the home remains fundamentally broken. The product category remains fractured and confusing while a significant portion of the $8B market is in dire need of an upgrade. The experience is terrible; interfaces are unintuitive and annoying; privacy and security are an afterthought; coverage is spotty; and service interruptions continue to be opaque and baffling. (They’re garish too: I always thought a router would look best discreetly hidden in an elegantly-designed smoke alarm.) And because going without WiFi is not an option, people are stuck with unsightly solutions. Solving this pain point is potentially a big opportunity. Companies like Asus, Linksys, or Netgear have products that combine the first two aspects and are in most people’s’ homes already. This is thanks to Internet Service Providers (ISPs) who pre-install these boxes in homes when customers get internet service, then profit significantly from equipment rental fees that are much higher than the cost of the device. Further, these WiFi providers have already created mesh solutions. In fact, there is a flooding in the market largely because the microchip companies built mesh capabilities directly into some of their WiFi offerings. With a bit of minimal setup, any company could add mesh to their products. Suddenly a bunch of WiFi mesh companies emerged in addition to the market leaders, which has lead to a cannibalization of the market. So why would Amazon buy Eero? On the surface, it doesn’t make sense for them to expand their footprint in the smart home in this way. Before we can understand the deeper implications, we need to unpack some of the economics. This acquisition was likely a better deal for Amazon than Eero’s investors, but it was still an expensive one. The Eero team is incredibly bright, built an elegant product and experience, and has a handful of patents. Acqui-hiring the also-brilliant Thington team to build a home OS was a bold move too. Amazon’s impressive innovation facility in the Bay Area, Lab126 currently has 250 job openings and 120 Eero staff would be a great way to fill some of those positions quickly. But such a large purchase is not likely to just be a recruiting mechanism. Eero is beautiful inside and out. They modeled their product and experience on Apple, with the quality and premium associated with it. Amazon on the other hand is ruthlessly and impressively efficient in their product design. Though both systems leverage Qualcomm chips for WiFi, to get to the lowest-cost mesh network on the market in order to win the space will require significant redesigns, which means long timelines. That is unless Amazon keeps the Eero brand as they did after acquiring Ring for what was an estimated $1B. Ring was the clear leader in the market with brand, customer size, and product quality (as indicated by online reviews) and with them Amazon unlocked a new method to track their packages at scale and create a new pathway to the inside of the home. Their acquisition of Blink home security cameras in 2017 for $90M aimed at gaining energy-efficient chips, which were allegedly to be utilised in future Alexa gadgets. With the net benefit of lowering production costs and lengthening battery life, the result is significant savings to their bottom line when applied to Amazon’s own line of manufactured products. None of these paths are immediately apparent when applied to the Eero purchase. Had Amazon really wanted to win the smart home they would have acquired August Smart Locks before Assa Abloy (makers of Yale locks) wisely snatched them up. They lead the space in similar ways to Ring but with the added benefit of letting packages get dropped off inside your home. Making it easier to get more Alexas online isn’t going to move the needle for profit at this point either, so wanting to add WiFi mesh to their existing product offerings in this way is unlikely. Amazon already collects more than 40 cents of every dollar spent online in the U.S. according to Slice Intelligence, and more than half of all product searches start first on Amazon — a percentage that continues to grow. Yet practically no one is buying from Amazon’s Alexa. Estimates project that only 2 percent of those who own devices with Alexa actually bought something via voice last year out of over 50 million Alexa-enabled devices sold. Worst still is 90 percent who did, didn’t do it again. Once scorned, twice shy? So why does it make sense? If it’s not about hardware then it’s about Alexa. And if it is in fact about hardware, then it’s bigger than the home. Let’s look at what it would mean to be about Alexa. First, AI needs a lot of data to get better. If Eero starts tracking online activities of customers, that would be incredibly helpful in helping to train Alexa. The top players in the voice assistant space don’t stack up evenly. Google has been ahead of the game in technical proficiency, thanks to search history, phone calls, and other information troves it uses to train its voice interface. Anyone who has heard Duplex call a Chinese restaurant can attest to this. While Alexa is currently ahead in terms of scale, they need more data to remain the lead horse. Learning more about user habits by tapping their internet in the home is a sure fire way to get more data on top of which a better voice interface can be built. Apple’s Siri, Samsung’s Bixby and to a lesser extent Microsoft’s Cortana are all falling because they can’t or won’t access data. This data play won’t be without its challenges, both technical and social. Technically, a lot of activity on the web is now encrypted so that ISPs and routers can only snoop on website metadata not content. However, until users start using encrypted DNS (still a distant dream) and with the death of network neutrality, ISPs can no longer be expected to act as a neutral man-in-the-middle (MITM). Socially, Amazon and Bezos are both unique in their ability to violate privacy without consequence. Amazon Rekognition is facial recognition for crowds and was released with hardly a whimper from the public. This unlike Apple, which has privacy and security as core to their mission, as seen in their recent actions, whether in direct confrontation with the FBI or with their only (snarky) presence at CES. They’ve done this at the expense of Siri’s AI, placing their own bets on the right approach to win over users. Amazon’s next new profit frontier appears to be ads in a much faster way than anyone predicted. They topped $10 billion in revenue for the advertising side of its business in 2018, marking an increase of 95 percent year over year in it’s “other” category. Selling display and video ads in a similar way to Google both inside it’s own walled garden and across the internet is going to be it’s own discrete reported part of the business. Yet large parts of the internet are still hidden from Amazon because users use other services and give those services their data, mainly competing advertisers Facebook and Google. Grabbing information directly at the source would be a big help for more targeted ads. 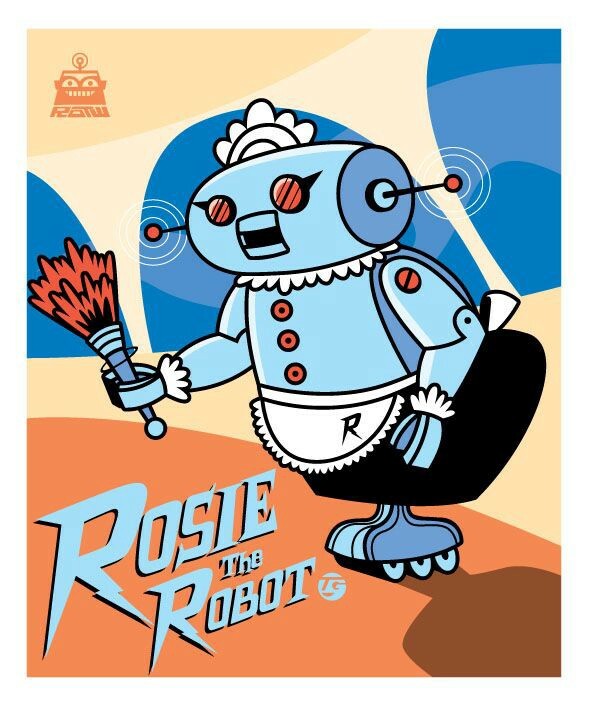 The future of a smarter Alexa could in turn help with the problem that users aren’t buying anything over voice if she becomes more of a Rosie the Robot Maid. If the problem is people aren’t yet comfortable asking their devices to buy things (pulling), maybe the device needs to start offering good suggestions instead (pushing). If the router starts snooping on what people are doing in the home, Alexa can start proactively chiming in with tips. “Hey Mark, can I recommend a humidifier since I notice it’s the winter in New York, your apartment is really hot and dry (#radiatorlife), and you’re searching for cough drops? I recommend X, which is the highest rated, currently on sale, and a couple of your friends rate highly.” Sound dystopic? A listening device in homes across the country would have a few years ago until Amazon normalized it. With all that said about Alexa, my belief is that the bigger option is as a hardware play. And bigger than the home, they’d focus instead on owning the pipes that run to the home. If Amazon wanted to become an ISP themselves, Eero would be an ideal way for them to do it. The key to almost any successful hardware company is having a services component, and Eero was smart to offer a subscription for additional features like family-safe browsing, ad blocking, and partner products for VPN, password, and antivirus services. Leasing the hardware, as ISPs do would make Eero immensely profitable. Providing the subscription services for free for Prime customers can hook more people into their ecosystem. Amazon could also massively improve the existing ISP experience by solving the pain points listed above and doing it with the reliable delivery & installation that Amazon already excels at. Amazon could become what AOL-Time Warner had promised to be, and the markets would respond ecstatically. There are secondary but nonetheless exciting opportunities unlocked with with mesh routers at scale, such as distributed networking. In 2017 all of Amazon’s operating income came from Amazon Web Services (AWS), meaning that it’s in their interests to keep growing their margins in that side of the business. The cost of maintaining these enormous, heat-generating, energy hungry servers is incredibly high. Reducing their energy costs would have a significant upside. While to their credit they’ve already achieved 50% renewable energy usage on their path to 100%, the savings would pale in comparison to what could be made possible in a distributed network. If routers in homes became a distributed network of servers, the irony would be that consumers would then be paying Amazon’s electricity bills for them. But there’s benefits to customers too, from increased loading speeds to lower prices (potentially). I have to mention drones. Amazon loves drones. And some predictions have autonomous vehicles making up 80–85 percent of last-mile deliveries by 2025, meaning that drones will soon be everywhere. Autonomous vehicles need to connect to the internet somehow and if they do it through the phone carriers it’ll be a remarkable cost to Amazon. With WiFi spilling out of people’s homes, accessing this WiFi for a data connection instead of doing it through satellites and cellphone towers could be a much cheaper tool to help with last-mile fulfillment. Amazon’s big vision here could easily be end-to-end: for consumers to connect over Alexa via Amazon’s internet to get Amazon’s packages delivered via Amazon’s drones running on Amazon’s technology backbone. In the short term this acquisition is already about more than the home, but Amazon is a long-term company. Amazon is slow to acquire, doesn’t do it often, and often acts instead as the fast follower. Long-term understanding from a technical analysis is much more revealing. Amazon is now planning, as all Fortune 100s should, for the future of what life will look like as the combination of homes and technology alter what’s possible. No matter what, this is a brilliant move for Amazon and yet another signal to the importance of hardware for long-term growth. On a personal note: enormous congrats to founders Nick Weaver, Amos Schallich, Nate Hardison and to the entire Eero team and investors. Hardware is hard, making a product that people love is harder, and landing an exit is the hardest. You should all be incredibly proud for a job well done. Mark Belinsky is an entrepreneur who is currently building companies as an EIR at startup studio Bionic in NYC. Saving lives & making people healthier. Sometimes cycling across countries. EIR at Bionic. Previously CEO of Birdi (Acquired) & Digital Democracy.